We are beyond excited to be turning 4 whole years old! It seems like just yesterday we were opening our doors on our little Albert St studio, and all of a sudden we have 2 studios, a Teacher Training Program and quite possibly the best community of yogis in Brisbane! We love sharing our yoga with the people of Brisbane, and we couldn't do it without your support! You are the reason our doors are still open, you are the reason our community is so incredibly rad and you are the reason we love turning up every single day. Thank you from the bottom of our hearts! 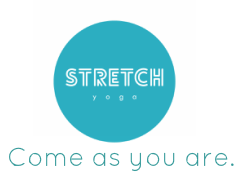 We've always been super conscious about making yoga as affordable as possible and just like we have the last 3 years, for our birthday we want to celebrate by offering some amazing monthly unlimited passes available for purchase online or in studio up until May 31st. The passes are valid at our both our Brisbane CBD Studio and Holland Park Studio and must be activated by June 30th. Maximum 1 month total hold for holidays on 6 and 12 month passes only (must be in blocks of 2 weeks). Holds for injury/illness require a medical certificate. Offer expires May 31st. Limit 1 per customer. To purchase, simply click on one of the links below (ta-da! ), pop into the studios for a class (you can find our Timetables via the links above) or give us a call on 07 3210 6886 and you can pay over the phone!